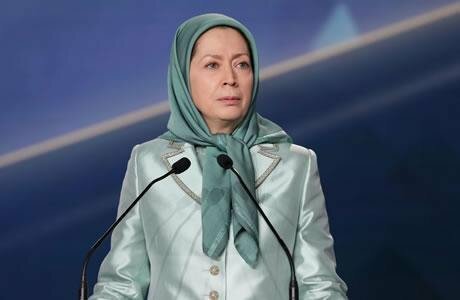 On the occasion of the International Women’s Day, Mrs. Maryam Rajavi, President-elect of the National Council of Resistance of Iran, said women were at the center of the nationwide uprising in January 2018, which shook the regime of the mullahs to the core. She added the 39-year history of this regime is a history of suppression of Iranian women, and year after year, misogynist laws have been increased and repressive measures against women have been intensified. The smallest demands of women in this regime cannot be answered, because the echo of each of these demands in the ear of the mullahs is the same as overthrowing the regime. Mrs. Rajavi pointed out that the mullahs have deprived women of one of their most basic rights i.e. the right to choose clothing, and have imposed compulsory veiling on women as a means for general social clampdown. She told the ruling mullahs that when you have tortured and executed tens of thousands of Mojahedin and other activist women, when you have taken away their most basic rights, then the Iranian woman has the right to overthrow the clerical regime. And this right will certainly be upheld. Overthrowing this regime is the right of Iranian woman. At the same time, it is her only way to achieve freedom and equality. As attested by the experience of the past 39 years, this regime has left no other method or means. Ms. Rajavi said the Iranian uprising is not just for the overthrow of a political system; it is an uprising against religious fundamentalism. Women did not take to the streets to demand anything from the regime; they want to eliminate the clerical regime. Women have not risen up to demand only their own freedom; they have risen up to liberate the entire nation. The NCRI President-elect added the present circumstances have provided the potential for continuing the protests, and women have a decisive role in shattering the atmosphere of fear, repression, and skepticism, as well as organizing the uprisings and spreading the protests. According to Mrs. Rajavi, supporting the struggle against fundamentalism is the greatest project of this era for advocates of women’s rights, and since the heart of this fundamentalism beats in Iran and under the clerical rule, supporting the Iranian people’s uprising, and especially the Iranian women, for the overthrow of the clerical regime is doubly important. Mrs. Rajavi once again underscored the urgent demands of the Iranian people and the resistance, which she had raised in the Council of Europe on January 24, and called for immediate global action to release of the prisoners of the uprising, guarantee freedom of speech and assembly, and abolish women’s suppression and the compulsory veil.